I wanted to create a small couch-friendly setup where I could play the Waldorf Blofeld with my little Akai LPK25 Controller and an AudioCube. Here is how I set it all up. 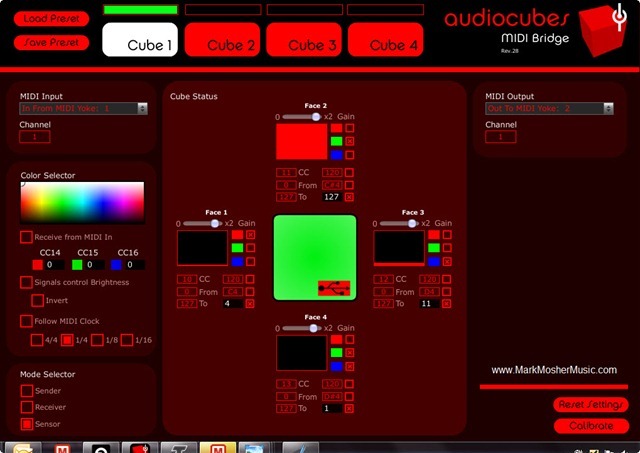 I use Percussa’s MIDI bridge to configure a sensor cube so that face 1-4 send CCs 10-13 (click image to enlarge). The Blofled supports custom mapping of 4 CCs to controllers that are labeled W,X,Y,Z. 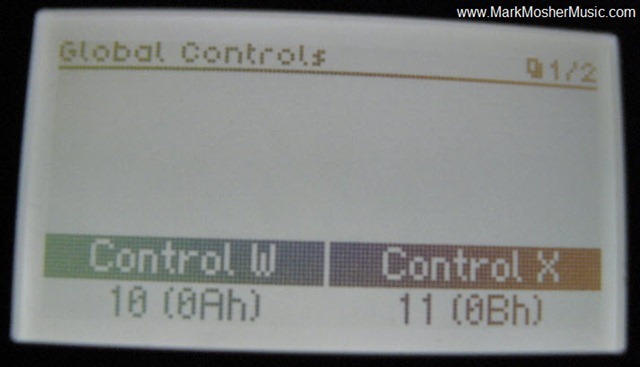 Hold down “Shift”+”Global” to access the global params and turn the Display Parameter Dial to access the “Global Controls” page. In my case, i set W-Z to 10-13 respectively to match the CC numbers coming from the AudioCube. 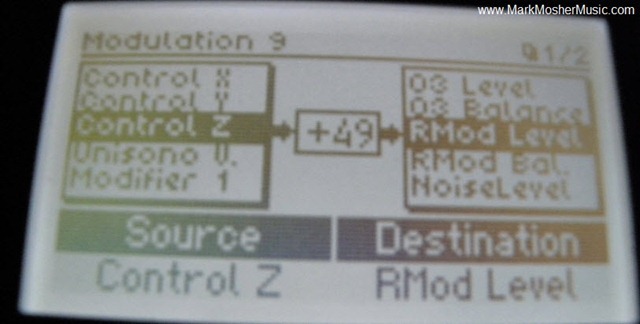 Now I modify any patch to respond to AudioCube modulation by going to the Matrix menu and then setting W-Z as sources. In the example below I map Z (AudioCube Face 4) with Ring Modulation Level. Ableton Live 8 is running on a laptop which is the hub that makes this all work. 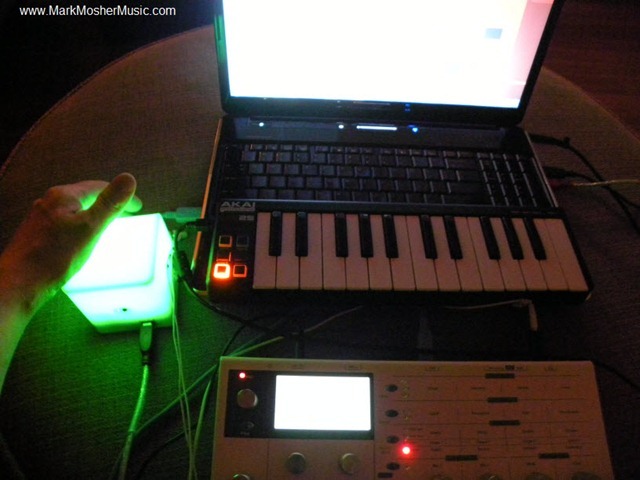 The LPK25, Blofeld, and AudioCube are plugged in via USB and configured as MIDI devices in Live options. I create a Midi Track and specify the Blofeld as the output and arm the track. At this point MIDI is merged from the LPK 25 and Percussa MIDI Bridge and sent through to the Blofeld allowing me to rock out from the comfort of my couch.